Amazon.com: Women’s Ruffle Long Tunic just $13.99! 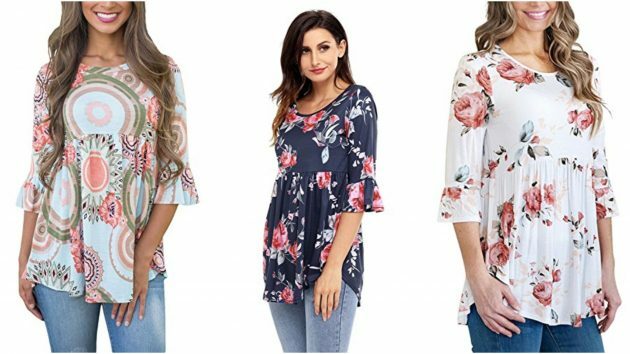 Amazon has this Women’s 3/4 Sleeve Ruffle Detailed Floral Blouse marked down to just $13.99 right now! There are several colors and patterns to choose from. These blouses are perfect for fall! « Amazon.com: Hamilton Beach Breakfast Burrito Maker just $13.49!